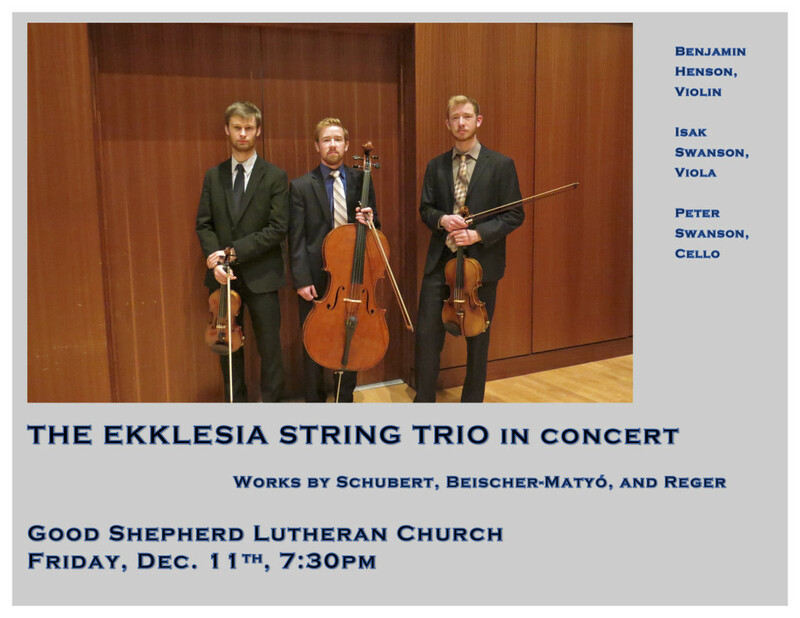 The Ekklesia String Trio from Luther College will give a free concert on Friday, Dec. 11th at 7:30 pm at Good Shepherd. They will perform works by Schubert, Beischer-Matyó, and Reger. The players are all students at Luther College. New Choir/Band Chairs Have Arrived!